Another incredible micellar water solution from Bioderma, designed to remove dirt, bacteria, surface dead skin cells and other debris whilst the patented Aquagenium® biological complex stimulates the skin to balance moisture levels. Perfect for the whole face, including the eyes, Bioderma Hydrabio H2O Cleansing Micelle Solution is gentle, calming and cleansing. Definitely not enough to cleanse on its own, but perfect as a pre-cleansing solution or on those odd occasions you’re unable to properly cleanse. Also, a big bottle like this (250ml) will last for ages. Apply to the skin with a cotton pad and I recommend, because of its exfoliating properties, not wiping vigorously and over the same area more than once. 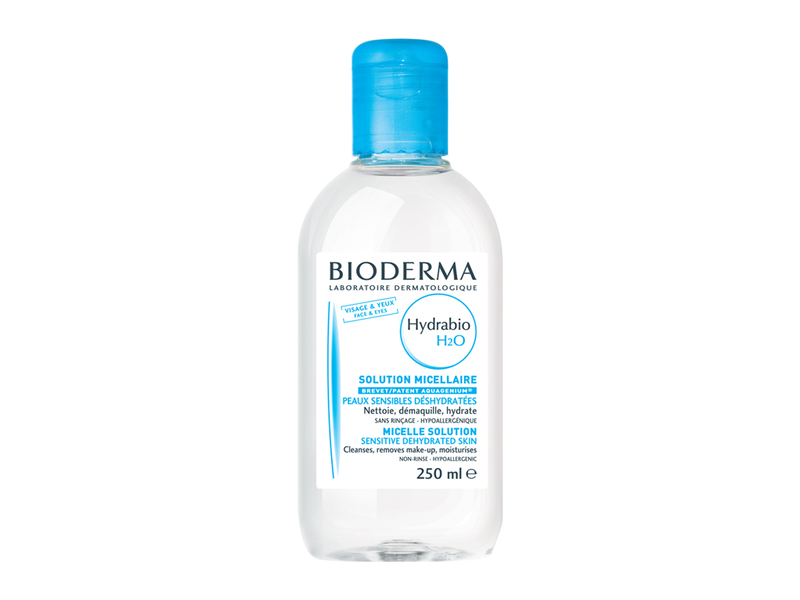 Bioderma Hydrabio H2O Cleansing Micelle Solution is available here from Escentual for a ridiculously low price of £7.99. This article first appeared on MANFACE written by Thom Watson. It was published on Friday 27th December 2013 and was last updated on Monday 3rd April 2017 at 3:18pm. It's categorised under Bioderma, Exfoliate, Tone where you'll find more related content.